GUNFIGHTER is a light (15-30 minute, two player) non-collectible card game set in the American Old West. 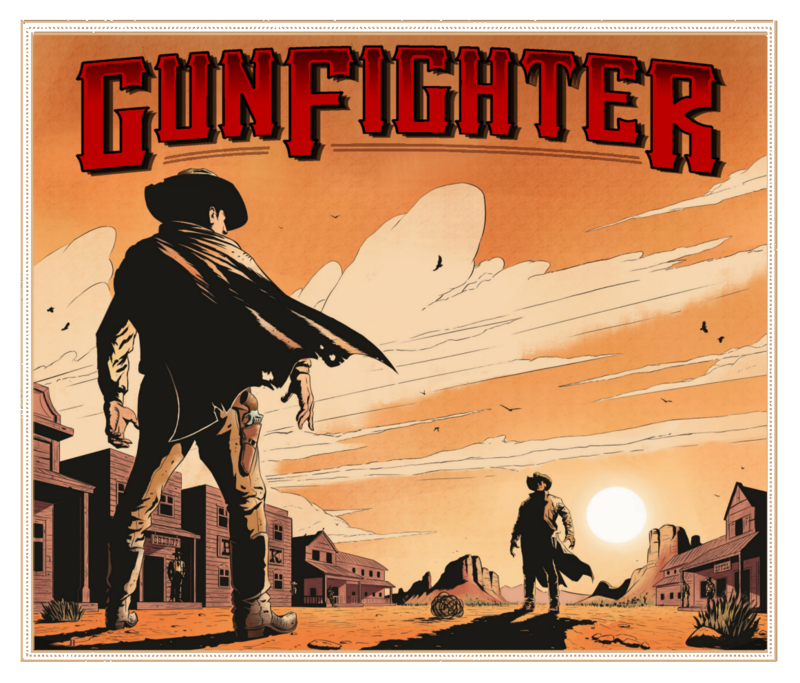 For a limited time, sign up for a printable copy of Gunfighter HERE. 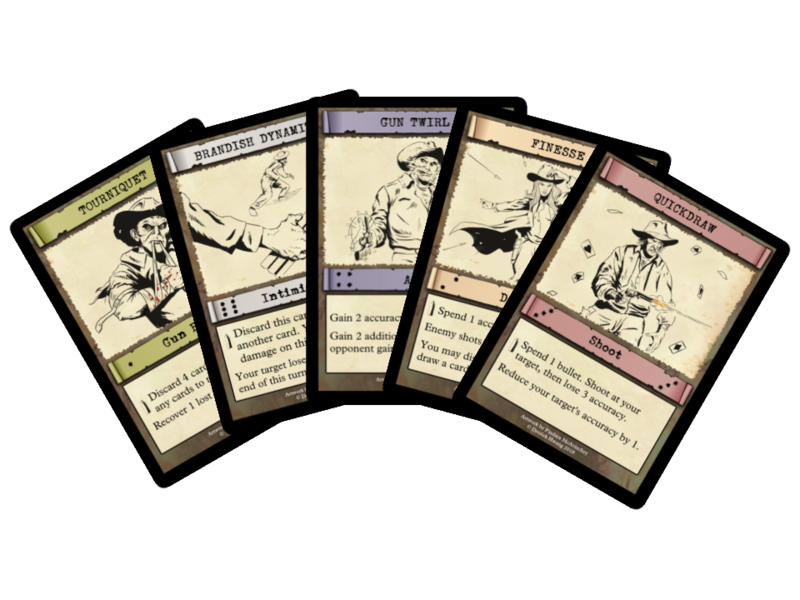 Each player equips action cards at the beginning of the showdown. 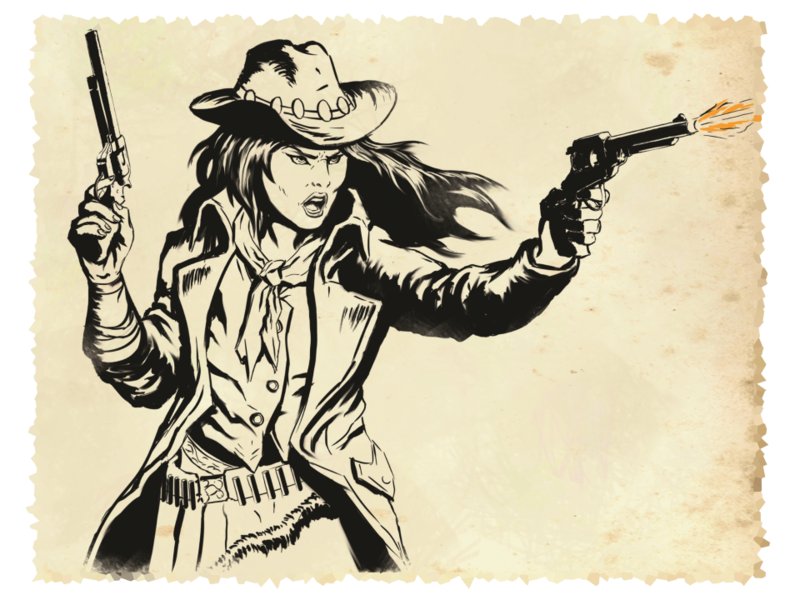 These actions range from stylish shooting and dodging sequences to taunting or even instilling fear in the opponent. During each turn, both players choose one action card to play at the same time. Players must focus on three goals: maintain accuracy and bullet reserves, successfully land shots on the enemy, and avoid the enemy's shots. Last player standing wins the duel. Lightweight - Travel-sized game that can be played with minimal tabletop space. Quick - 1 minute to set up and around 15-30 mins to play. Zero downtime and full player engagement throughout. Strategic - Simple to learn, but packed with thought-provoking choices, mind games, and tense "finger on the trigger" moments. Highly replayable - Numerous card interactions and individual playstyles result in countless opportunities for players to outwit their opponents.